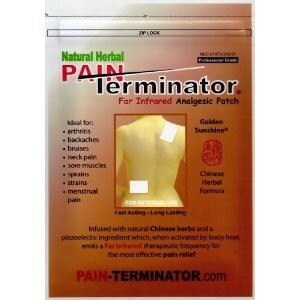 The Pain Terminator? 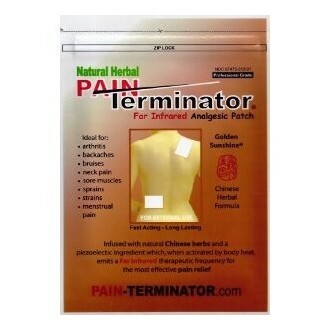 Far Infrared Analgesic Patch is the best choice for treating both chronic and acute indications where you want to stabilize the herbs on an area like the lower back, shoulder or joint for a longer period of time. This exciting new technology employs a piezoelectric ingredient that, when activated by body heat, emits a therapeutic Far Infrared frequency. This helps open the pores and aides in transporting the therapeutic herbal formulation into the affected tissue. For increased potency, the cream may be applied first allowing sufficient time for it to absorb into the skin, then apply the patch. This increases the number and amount of therapeutic herbs being applied and the patch stabilizes them on the affected area for a longer period of time.